Two teenagers will likely be fined after throwing stones across Norway’s land border with Russia. Just because Russia is only a stone’s throw away from Norway at spots, doesn’t mean people should take that literally. That’s what four people found out the hard way on Sunday, when they were detained by Norwegian border control agents after throwing rocks into Russia. The incident occurred at Grense Jakobslev, just south of the Barents Sea. 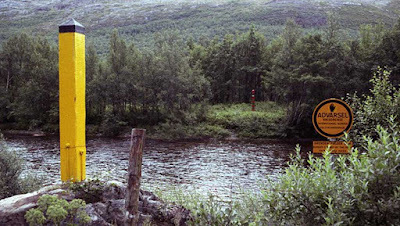 There, a small creek that is as narrow as four metres in some spots separates Norway from Russia in what is Europe’s northernmost land border. Finnmark Police say that border officials arrested four people for throwing stones across the creek. “A car with four people stopped at Grense Jakobselva, a place where there is just a very short distance over to Russia. Two of these are charged with having thrown stones over to Russia,” operations manager Thomas Pettersen said. The four individuals, all Norwegians, ranged in age from being teenagers to being their 40s. The younger two of the party admitted to throwing the stones. 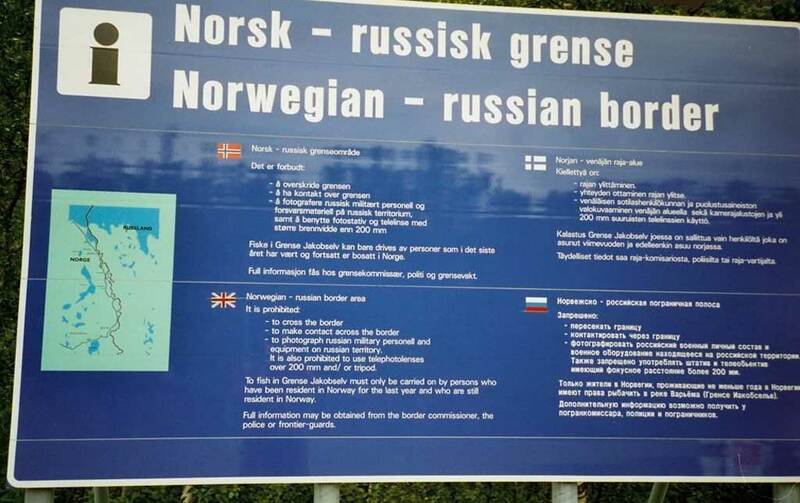 Throwing stones across the border is a violation of Norwegian law, which does not allow for “offensive behaviour at the border, targeting the adjacent state or its authorities". “There are signs that clearly state that it is not allowed to do such things,” said Pettersen, who say that the rock throwers gave no good reason for their actions but said that they bore no grudges against Russia. The two boys could face fines from 1,000 kroner (£95, $125) all the way up to 10 million kroner (£935,000, $1,215,000) if attorneys decide to press criminal charges.